It's been two weeks since I started my Good, Bad, and FIT journey as a recent close encounter with the scale triggered a reevaluation of my fitness regimen and eating habits. I've learned a few new things and picked up a few new tips! In the beginning, I was doing really great dropping two pounds in the first three days. There was Meatless Monday, Liquid Tuesday, Sugar-Free Wednesday. And so forth. It was a little gimmicky, but the pounds were coming off. I thought I was going to reach my goal weight and sail into the sunset with my Flaming Hot Cheetos (victory prize) in no time. Then came the weekend. It wasn't a bad weekend. I went for a two-hour bike ride on Saturday and stayed fairly active the rest of the time with multiple shopping outings. But the meals killed it for me. It's difficult to stick to stringent eating when the only predictability of weekend meals is that I'll be eating out. It's hard to stick to an eating strategy when delicious temptations are floating all around! And even though it was just two days of mini splurges, when you're trying to lose weight, every splurge counts. On the Monday after the first weekend, I was pretty much back to square one, at the same weight I started a week ago. Determined to not relive the scale over and over again, I made some changes. Instead of letting myself get to the feeling of hunger during the weekdays, I supplemented my light meals with lots of liquids. 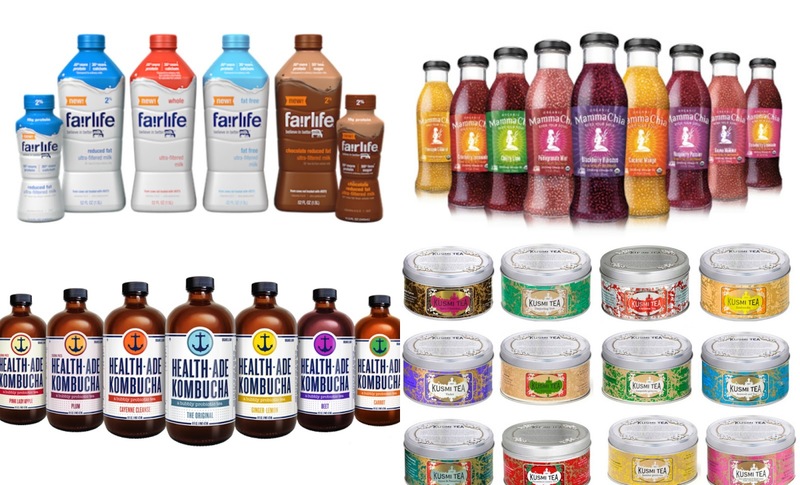 Aside from sparkling water, I've been drinking Kusmi Detox tea, Mamma Chia, Health-Ade Kombucha, and low in calorie high in nutrition fairlife ultra-filtered milk. I love having a glass of fairlife ultra-filtered milk after a workout as it contains more calcium and protein than regular milk and helps to replenish my body with the nutrients that make up the building blocks to staying fit, healthy, and strong. And since it's lactose-free, I don't have to worry about an upset stomach. Fairlife ultra-filtered milk, along with the other drinks, helped me feel full and staved off cravings. This past weekend, I drank a glass of milk before lunch and dinner so that hunger wasn't leading my food decisions, I was. I hope it pays off!